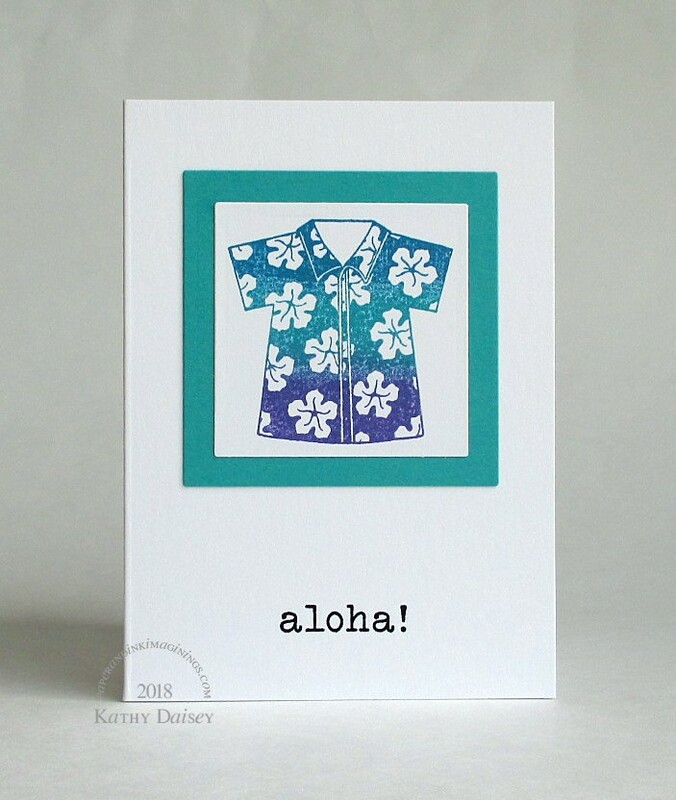 I had this stamp set out for last week’s Hibiscus on Navy Card , and the ombre ink pad was on my work table. Hmmmm. And here is a note card, because you know I stamp multiple images in case I mess up! Supplies: Stamps – Hero Arts, Papertrey Ink, Stampin’ Up!, paper – Neenah Classic Crest Solar White, Stampin’ Up! Bermuda Bay, inks – Hero Arts Ombre Mermaid, VersaFine Onyx Black, dies – Spellbinders, embossing powder – Filigree Fine Art Powder clear. 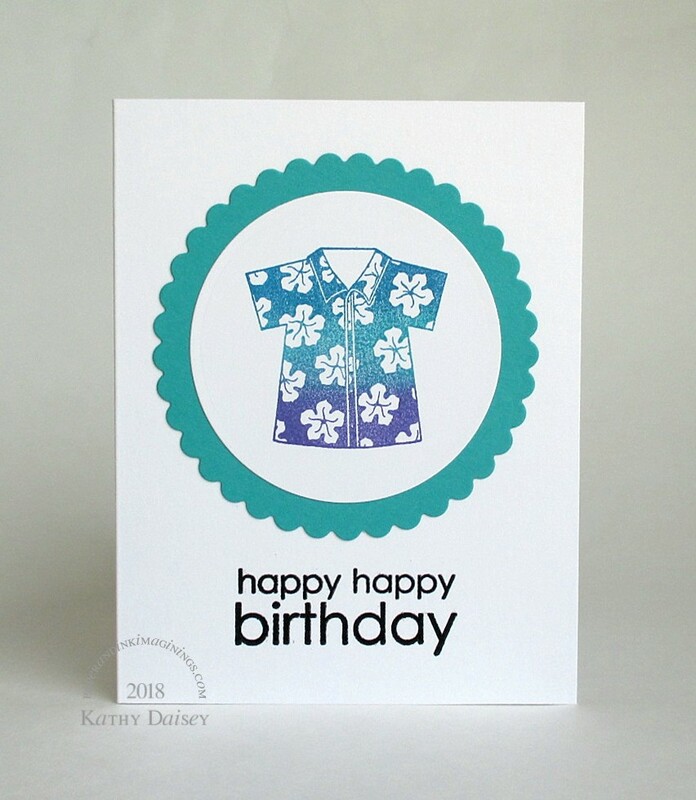 Categories: birthday, card, caring, hello, note, thinking of you | Tags: card, Hero Arts, Neenah, Papertrey Ink, Spellbinders, Stampin' Up!, Tsukineko, VersaFine | Permalink. The ombré fits the shirt perfectly. Really cute.